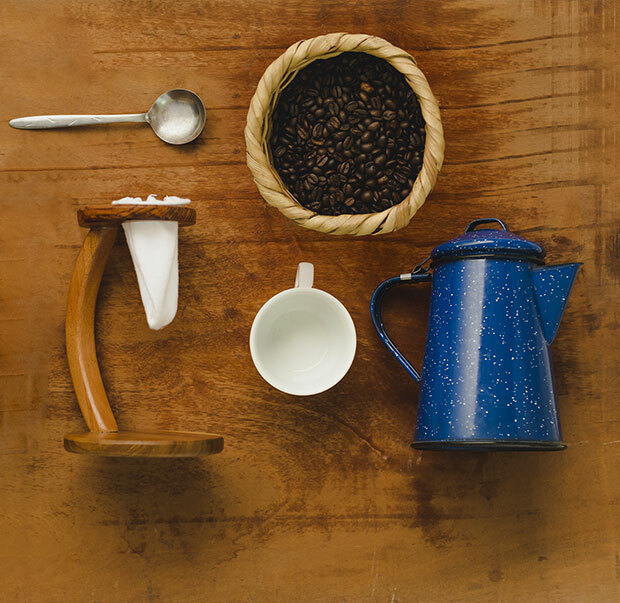 The Chorreador is a brewing method that has been used in Costa Rica for hundreds of years. It is the best way to brew coffee. Period. So what exactly is a chorreador? The name gives a hint. It comes from the Spanish verb chorrear, meaning to drop or trickle. The chorreador is a simple device made from a wooden stand and a sock-like piece of cloth held open by a wire or rim. 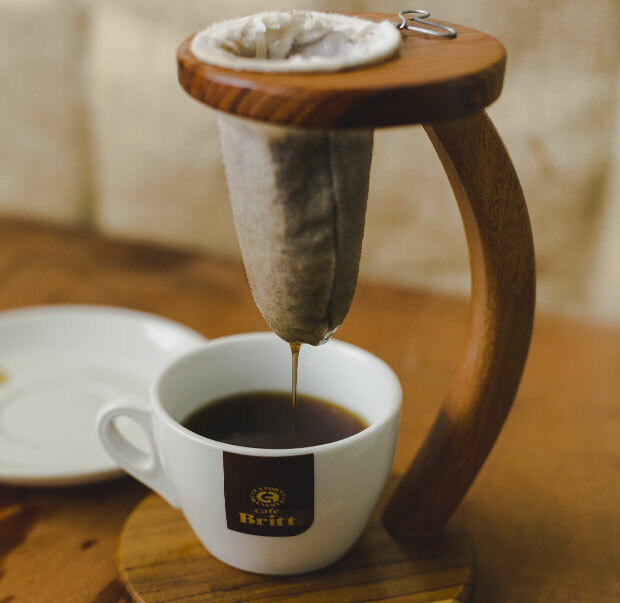 All you have to do to brew the world’s finest coffee is fill the cloth with your desired amount of coffee and slowly pour boiling water over it, and let it drip in your favorite coffee mug! The upkeep is almost as easy as the brewing. 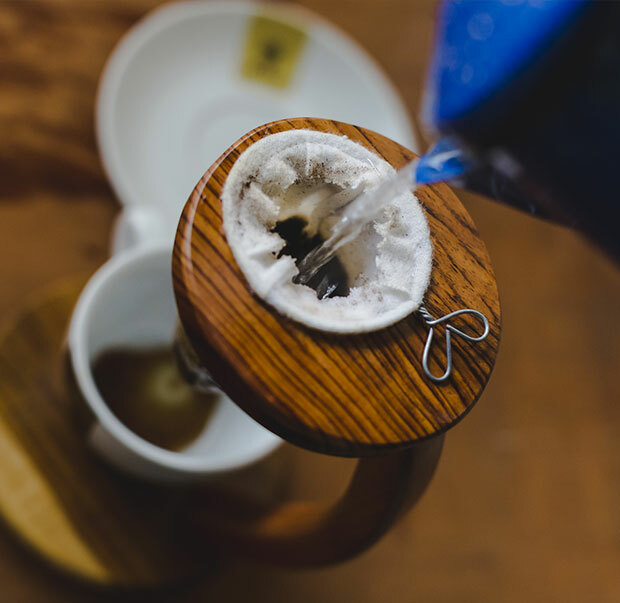 Just rinse the cloth filter in warm water after each use (without any kind of soap, otherwise your next brewed coffee will taste funny!) and you are ready for your next brewing session. 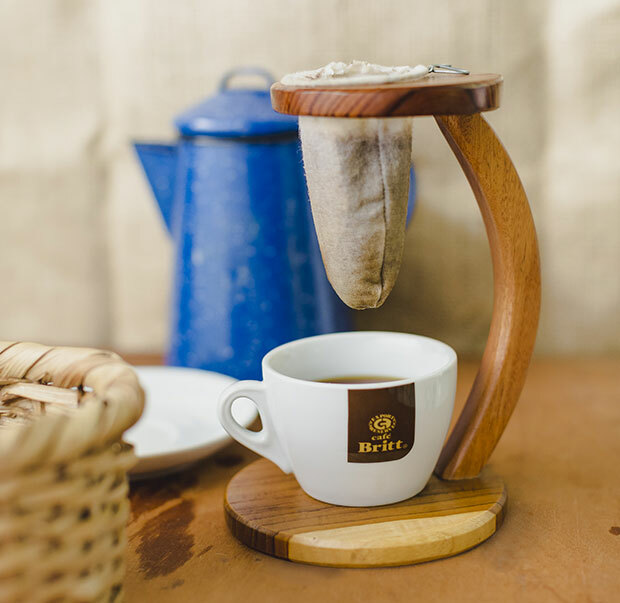 It’s perfectly normal for the cloth filter to turn brown, but this will not affect or change the taste of the coffee. It’s a simple concept, but the control it gives you over the flavor and strength of your coffee is unbeatable.